Amazon.com Inc.’s (AMZN.O) 14-month search for a second headquarters is coming to an anti-climatic conclusion: The company is said to be picking at least two, smaller locations, and will likely use data from the hundreds of cities that applied to plan a longer-term, more incremental expansion. Over the course of its much-hyped selection process, Amazon gathered information from 238 municipalities wooed into the running for the e-commerce giant’s next campus, which came with promises for 50,000 new high-paying tech jobs and US$5 billion in investment. 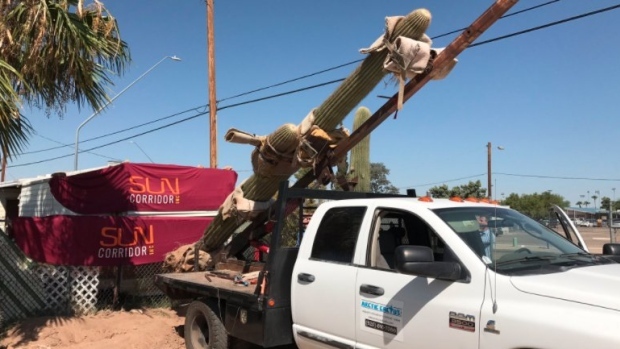 Cities from coast to coast and even Canada tripped over themselves to offer incentives from tax breaks to a 20-foot-tall cactus and even the renaming of cities, and politicians, themselves. Amazon’s well-publicized hunt for HQ2 was a "ruse,” he said. "I always thought this wasn’t about one site and was part of a corporate location strategy looking for different sites and different talent," Florida said. "Headquarters two and three are just the beginning." The process was public enough to give Amazon valuable publicity as a highly-coveted company while still keeping most of the details of each city’s bid hidden, which maximized Amazon’s bargaining power and will pay off for years to come when it plans further expansions, said Jed Kolko, chief economist at job search website Indeed. “Amazon now has insight into what cities would be willing to offer and possibly plans localities have for investments in infrastructure," he said. Google took a similar approach when it launched its experimental Fiber fast internet service almost a decade ago. The web giant and unit of Alphabet Inc., sent out a "request for information," and hundreds of cities responded, including one that offered to rename itself "Google." Like Amazon HQ2, Fiber didn’t match the early hype, but Google gathered valuable data on how towns and cities handle telecom and utility build-outs and what municipalities were willing to compromise on. Julia Pollak, labor economist for the online jobs marketplace ZipRecruiter Inc., said Amazon’s HQ2 bid was a “very smart” negotiating power play that would likely result in the e-commerce goliath spreading its reach into multiple cities. Other cities included on the short-list Amazon released in January include Atlanta, Dallas and Miami. Each city comes with its benefits: New York has top finance and marketing talent, Washington DC has a proximity to Capitol Hill, Miami offers links to Latin America, while Toronto provides a way to hedge against immigration restrictions in the U.S.